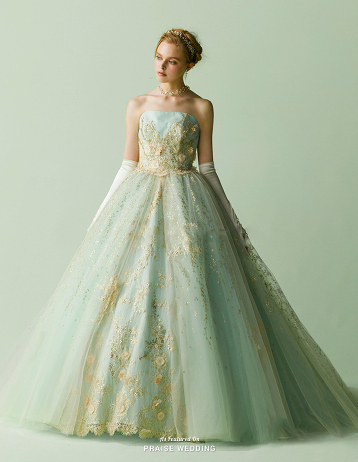 When mint meets gold, the result of this Anteprima ball gown is downright droolworthy! 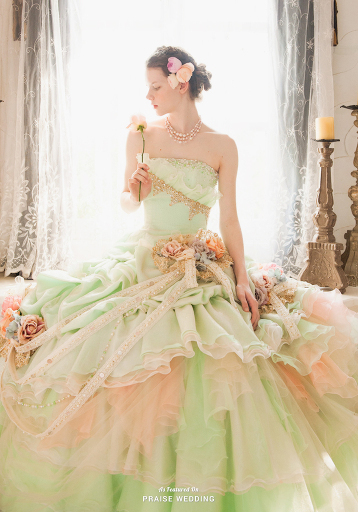 This graceful mint ball gown from Roman Rolan featuring enchanting sleeves and dreamy layers is fit for a princess! 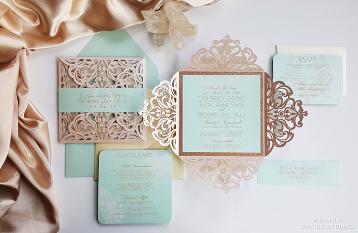 This mint x gold lasercut invitation suite from Designed with Amore is so elegant! 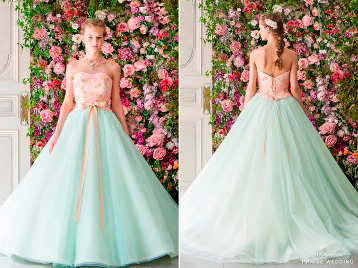 When pink meets mint, the result of this Sposa Blanca pastel gown is pure romance! 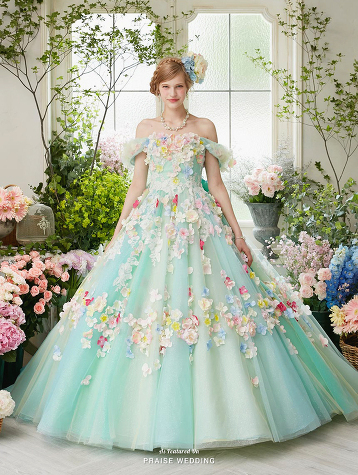 We can imagine a fairy twirling around in this floral dress from Nicole Collection! 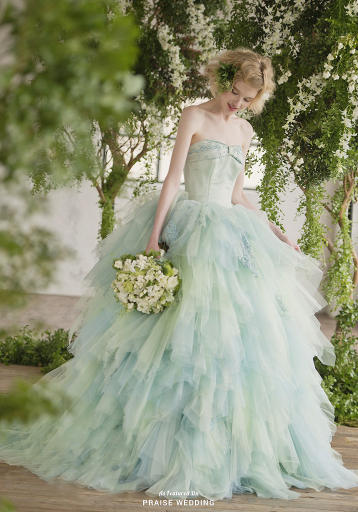 This refreshing mint ruffled gown from Ecru Spose is fit for a princess! 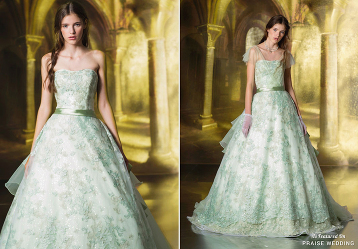 With the perfect combination of mint + gold, this ball gown from Anteprima Bridal is fit for a princess! We are totally obsessed with the dreamy color combination of mint + gold, and this gown from TuNoah Wedding explains why! How refreshing and adorable is this pink x mint gown from Tutu Dress featuring flowers, golden lace, and ruffles? 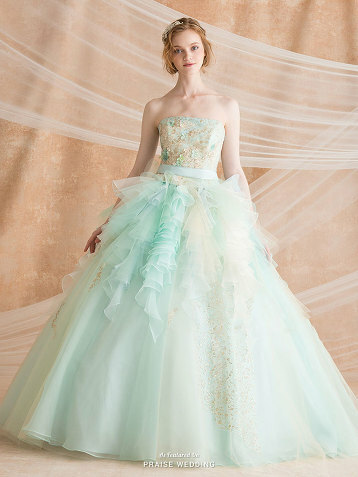 Refreshing, dreamy, and feminine, this ruffled mint gown from Leaf for Brides is downright droolworthy! 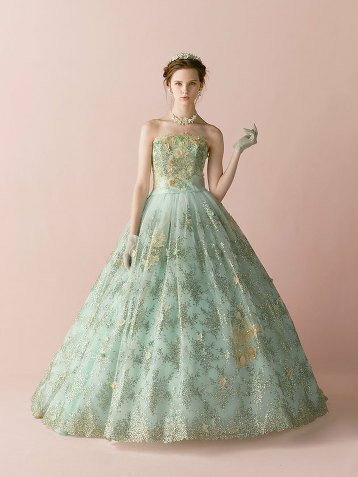 If you’re looking for a sweet pastel gown with a touch of regal romance, this mint ball gown from Jill Stuart is definitely going to be your cup of tea! This sweet romantic mint floral gown from Hardy Amies London is so refreshing! 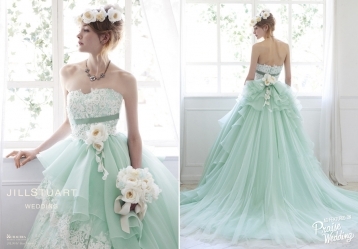 This refreshing and utterly romantic mint blue gown from Mariarosa is oh so pretty! Cuteness overload! Princess-worthy maternity family photo featuring beautiful matching mint gowns! Blending a modern silhouette with sweet floral details in romantic pastels, this mint gown from Geraldina Sposa is a fairy tale come true! 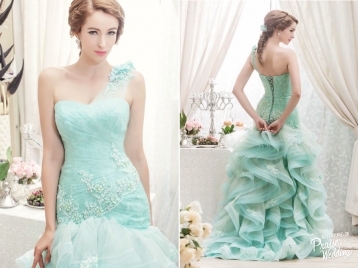 A lovely mint gown from White Link Bridal featuring 3D floral jeweled embellishments! Anteprima Bridal’s refreshing mint gown featuring unique 3D floral neckline is making us swoon! This romantic floral-inspired gown from Tiglily’s new Pandora collection is so refreshing and chic! Head over heels in love with this romantic mint x gold gown from Love Me More! So refreshing and chic! 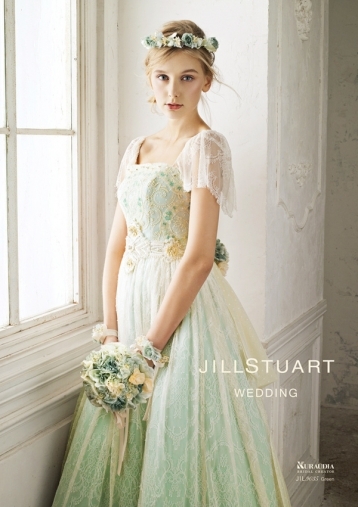 This Jill Stuart vintage-inspired gown featuring detachable sleeves and golden embellishments is downright droolworthy! 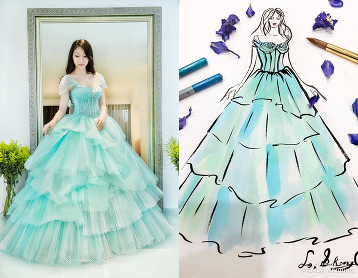 We’re dreaming of ocean breeze thanks to this laced mint mermaid gown from Redbean Wedding! Mint or sky blue? 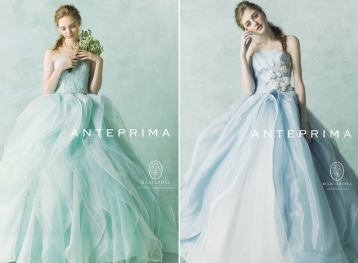 Both dresses from Anteprima Bridal are utterly romantic! Wow! Beautiful floral lace and mint tulle! Could this Jill Stuart gown be any dreamier? 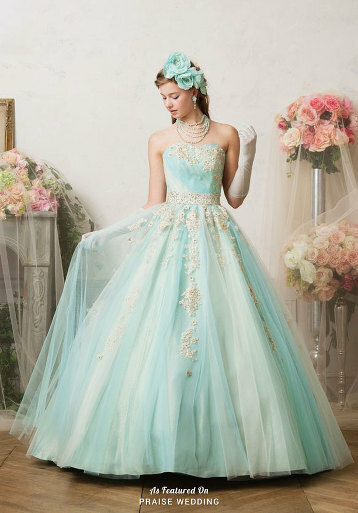 If you’re dreaming of a princess-worthy look, you will love this beautiful mint gown! This mint one-shoulder ruffle gown from Whitelink Bridal is so fresh and feminine! Mint tulle dress, pink balloons, and seaside romance, this engagement session is bursting with sweetness! Creativity x beauty! Play around with these pastel dresses to create your own style! 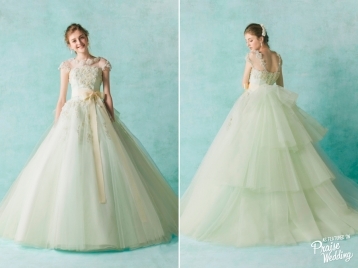 Impression Bridal’s light mint wedding gown is oh-so-romantic! So obsessed with this gold x mint whimsical bridal look! Drenched in soft hues of mint and blush, this Miami engagement photo is a real coastal beauty! This romantic mint ruffle gown is so refreshing and chic!